Jen Ohlson had been working on a fitness system for Gym classes for 4 years and had a great new product but it wasn't selling. 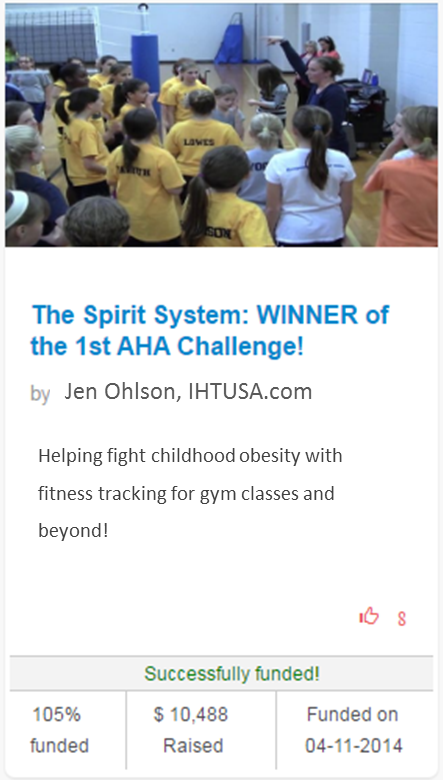 She entered one of our first CrowdChallenges and stole the show. Now Adidas says they will put the Spirit system on every child in America! We put Sonny Vu on stage at our 2012 Healthcare Revolution event in San Francisco and helped him design his first crowdfunding campaign where he sold over 8,900 units. In 2015 he sold his company for $260M to Fossil. Way to go Sonny! 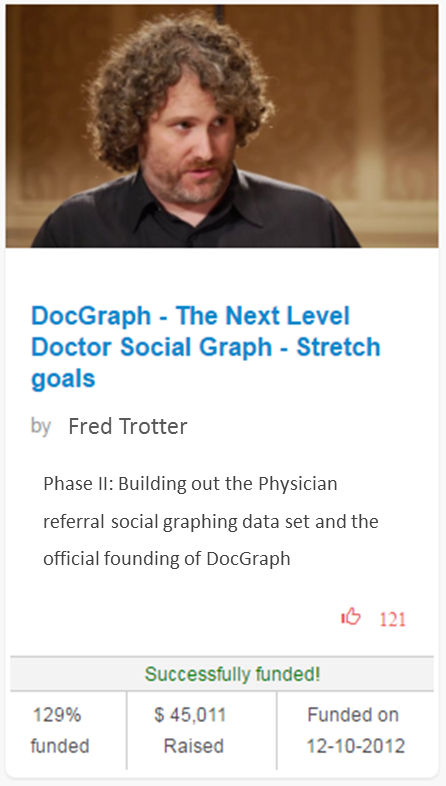 Fred Trotter and the DocGraph team had a great idea. We helped them get found, funded, and partnered up over 48 times by over 120 people in just about six weeks. Now Fred is a household name... at the White house.